Welcome to Brown Girl Tarot®! What is Brown Girl Tarot®? BGT was started after I (AMJ) started reading for myself as a way to make my spiritual practice more tangible. I took to working with the cards fairly quickly and developed an unexpected passion for this art. I decided to establish Brown Girl Tarot when I noticed the very low numbers of decks created by people of color or even featuring brown-skinned folks. Since I first came to tarot by way of women of color I encountered on Twitter, I figured it would be a great idea to bring us all together. Brown Girl Tarot® is a registered trademark owned by my company, Brown Girl Tarot. The use of this registered trademark is prohibited without my express written approval. Unauthorized use of the mark, or using a mark that is confusingly similar to Brown Girl Tarot® is trademark infringement. Any production or sale of products or services that are unauthorized or improperly used is a violation of both federal and state trademark laws. I have been made aware of a tarot deck published in 2017 that has used “Brown Girl Tarot” as its product name. The name of this deck is not used under the permission of my company and is not affiliated with my company. I have worked hard to create and expand the Brown Girl Tarot® brand and it is my duty to protect it against any infringing use. 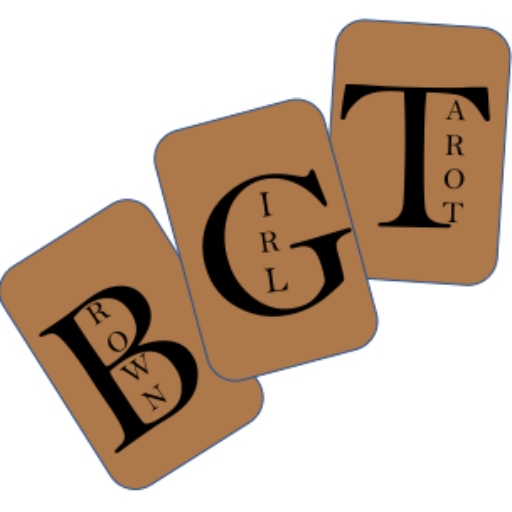 If you would like more information regarding the use of the Brown Girl Tarot® trademark, or would like to report any unauthorized or improper use of the mark, please do not hesitate to contact me at info @ browngirltarot . com. *Reading services are available to people of all identities. A vibrant network consisting of transgender, intersex, nonbinary, gender fluid/queer/nonconforming, two-spirit, & cis women of color who practice tarot across the globe. Provide intuitive tarot readings to consumers seeking personalized spiritual advising. Facilitate community building and professional development for members of the Brown Girl Tarot Collective. Preserve the history of tarot decks depicting people of color, particularly decks created by POC via a physical and an online library. *In development, so stay tuned. Contact me if you are interested in helping develop these services. Please be sure to also connect with Brown Girl Tarot on Twitter, Facebook, & Instagram.